Well, not really easy but I was having a hard time coming up with a title for this post. I figured what the heck, why not a play on lyrics. 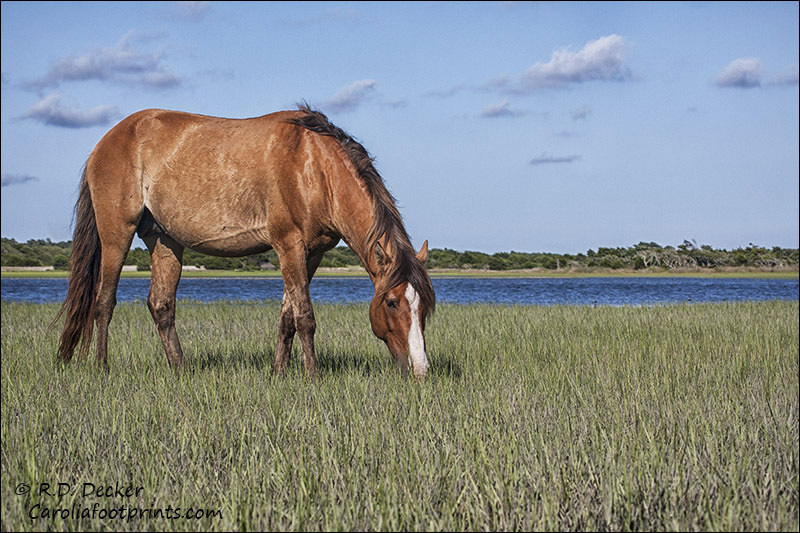 During the “dog days of summer” the horses get a bit less rowdy… conserving energy and hydration I imagine. There are fewer opportunities for shots of them with their heads up or of them fighting. Still, there are plenty of photo opportunities with these beautiful animals. Just a friendly reminder if you decide to visit the horses, regulations require you stay at least 50 feet away from the horses. I wouldn’t want to see you get in trouble or, worse yet, and injury occur to you or one of the horses. 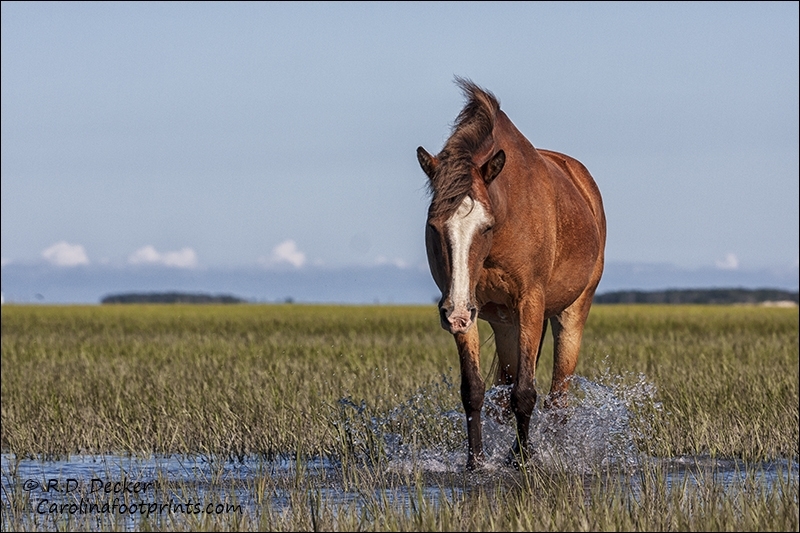 This entry was posted in Banker Horses, General Photography, Natural History in the Carolinas, Nature Photography, Wild Horses, Wildlife Photography and tagged Beaufort, Crystal Coast, Estuary, Horse, Nature, NC, North Carolina, Outer Banks, Rachel Carson Estuarine Reserve, wild horses, Wild Mustangs.